Ethiopian Restaurant Guide – A state-by-state lising of Ethiopian and Eritrean restaurants in the U.S.A.
A state-by-state lising of Ethiopian and Eritrean restaurants in the U.S.A.
To find Ethiopian or Eritrean restaurants in a state, click the blue links below for each state. You can always return to the index of states by clicking Find an Ethiopian Restaurant on the right. I welcome additions and corrections to this list. The United States has around 350 Ethiopian and Eritrean restaurants – fewer than the number of Chinese restaurants in New York City alone. A lot of these restaurants have websites or Facebook pages, and thanks to people who have posted videos on the internet, you can “visit” many of the restaurants. The pages for each state directory provide links to those websites and videos. The restaurant business is perilous: 25% of new restaurants fail in the first year, and by their third year, the attrition rate is 61%. So call ahead to make sure your chosen megeb bet (Amharic for “meal house,” or restaurant) still exists. The first Ethiopian restaurant in the U.S. opened in 1966 in Long Beach, Calif., thanks to Beyene Guililat, an Ethiopian immigrant with big dreams. Since then, the cuisine has grown around the world, with more cities every year getting their first restaurants. The menus at Ethiopian restaurants are pretty standard from place to place – food critics, seeking to “modernize” the cuisine, sometimes point this out – but here and there, you may find unusual dishes at certain restaurants. (What varies most on the menus are the myriad ways that restaurants spell the names of Ethiopian dishes in English.) Dessert, however, is another story: There is no native Ethiopian dessert, so restaurants tend to offer sweet treats from other cuisines. If you’re lucky, you’ll be treated like betegna – that is, a welcomed guest, almost a member of the family – when you visit an Ethiopian restaurant, especially if you become a regular there. But Ethiopian restaurants seem to have developed a reputation for being less than snappy about tending to their customers’ needs. And that’s not me talking: It’s Seleda, an online ‘zine for hip young Ethiopians that published from about 1999 to 2004 (with a farewell issue in 2009). Each issue of Seleda had a Top 10 list in the style of David Letterman, and sometimes the lists poked fun at culinary things. In April 1999, the “Top 10 Signs You Have Become a Frenjie” (i.e., a foreigner) included: “No. 6 – You still get bewildered by the slow service at Ethiopian restaurants.” Other signs include asking for a beer list instead of just ordering a Heineken (Ethiopians in America tend to eschew their country’s beer for continental selections), describing injera as “those spongy burritos,” and reflecting on the dangers of carcinogens at an Ethiopian coffee ceremony, where smoke from the coffee beans fills the air (and sometimes the room). 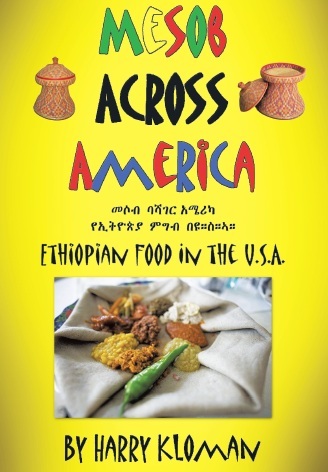 I hope this guide will inspire some pioneering Ethiopians in America to set out for unexplored culinary territory and bring their food to those unfortunate states without a restaurant. 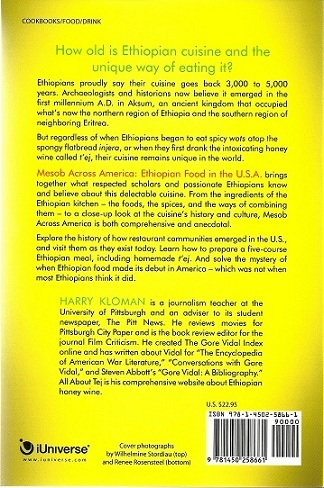 You can learn more about Ethiopian food by visiting my other two site: Ethiopian Food: Mesob Across America and T’ej, the Ethiopian Honey Wine.